Comments: Funnel-shaped blue flowers are borne in clusters over the top of clump foliage made up of narrow, willowlike leaves. 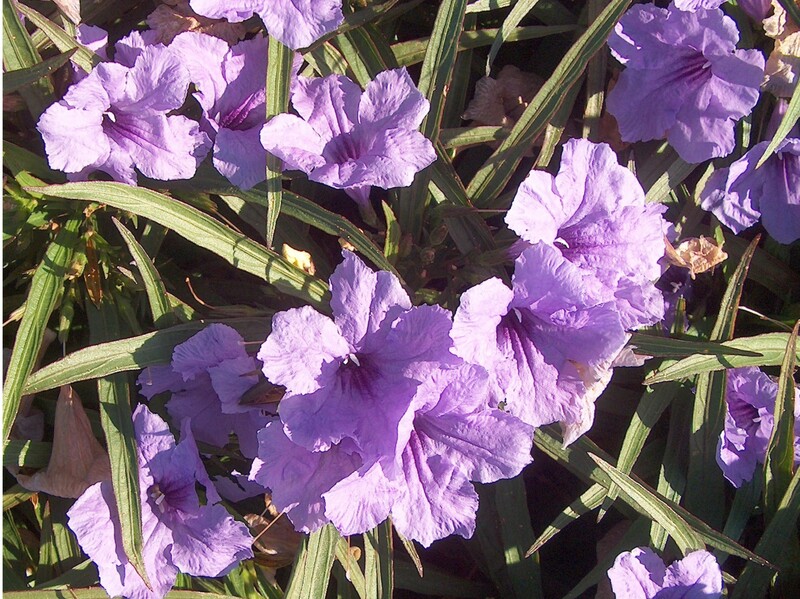 This ruellia blooms over an extended period from early summer through the fall. Plants are killed back to the ground at the first heavy frost, but usually return the following spring unless winter temperatures are very low. Plants have good drought tolerance and very few pests.